This is a beginning to end of the year project! As a class, kids construct a rubber band ball and watch it grow! Kids bring in rubber bands throughout the year to contribute to the ball. As the ball grows, measurements are taken. Kids figure out the diameter, radius, circumference and area of the sphere. They chart the ball's growth, creating a graph. 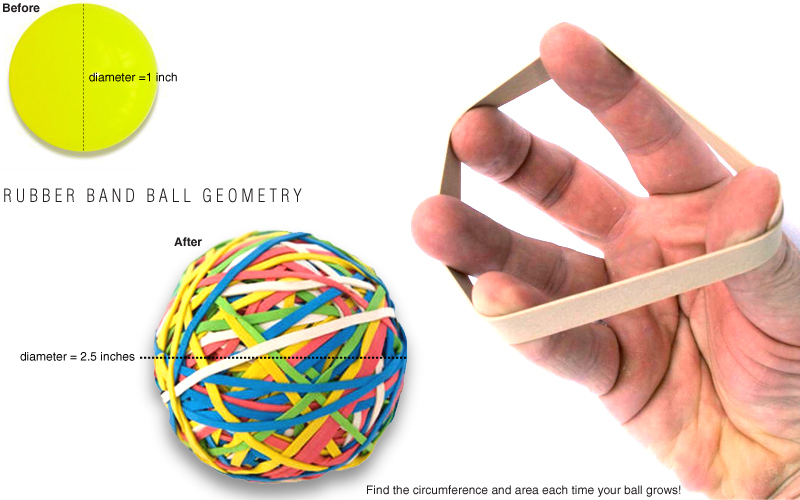 Click here for instructions on how to make a rubber band ball!